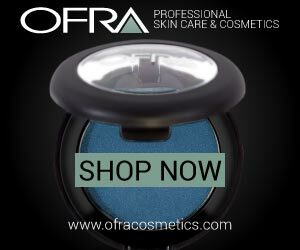 ← Makeup Tutorial/Fashionista Magazine: Dark Circles be Gone! Vlog: Tailbone Terrors, New Adventures & Lip Injections! For a full list of all products used in this video, Click More! * Tutorial on this makeup will be in Fashionista Magazine in about two months! Vlog: Germany Zoo - Cuteness Overload! 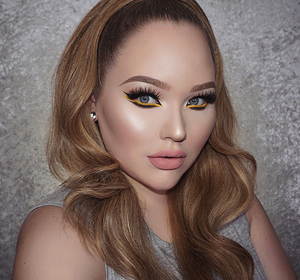 CONTOUR LIKE AN INSTAGRAM PRO! This entry was posted in Vlogs, Youtube. Bookmark the permalink. 17 Responses to Vlog: Tailbone Terrors, New Adventures & Lip Injections! Ive tried the lip injections….i wanted them sooooooooooo bad and my lips are already full kind of like yours are. So i tried it and liked it for a week or two then i started to dislike the constant duckface look. Im glad i tried it but i wont be doing it again. My best friend got them too and she had a terrible reaction to it and her lips swelled and were a crazy color. She was allergic to it. Look, try it , if you like it fine, if you dont , you dont. Your lips really are kind of perfect the way they are. As for trying/doing something new , dont look at it as an opportunity where you might fail, look at is as an opportunity to expand your knowledge and believe in your ability to adapt. You will do well….NO FEAR! ik begin dit jaar met werken (studeer in september hopelijk of als bachelor chemie). maar ik wil wel nog leuke dingen bijleren, make-up avondschool, mss naaien, … maar dat kan ik pas regelen als ik al even aan het werk ben en beter zicht heb op wanneer ik daar allemaal tijd voor zal hebben. If you want lip injections, get them. Regardless of what other people say ;) You’re already beautiful but we all have our insecurities. Keep on filming videos! I have been following you since you were 14? or was it 15? I’m studying English and you have progressed a lot since your first video on youtube. Your vocab has expanded, it’s just great to see that you want to reach international beauty lovers as well. I’m trying to finish my bachelor this year and working 3 days a week at a secondary school as an English teacher. After that, I hopefully have enough spare time to do a course on how to apply make-up like a pro. Or in Dutch: cursus visagie. Love from the east of the Netherlands. Wat een leuk filmpje om naar te luisteren. Ik zou het nooit zelf doen..
Over dat leren elke dag van je leven klopt wel, gewoon doorgaan met jezelf van alles aan te leren…hoe oud je ook bent. Nikke!!! I’m having that same problem. I live in California and I work in Los Angeles and San Diego. In both city’s they expect you to do hair and makeup. I HATE hair! Or hated…I’m practicing more now but it’s just not my thing. I really hate the fact that I can’t just do makeup. I’ve lost so many jobs because of it and I’m done with that. I’ve decided to be friends with hair. I’m going to take hair classes and practice. Sometimes we have to do things we don’t like for things we love and hair will not stop me. ik zou ook super graag bij colorfool willen werken, hoe ben jij daar terecht gekomen? Well, I got a lip injection once. But actually it wasn’t the kind of injection you mean haha. They had to remove a little part of a scar on my lip and I can tell you I looked hidious for a day haha. I think you already got very nice lips! :) It’s your decision though. Je hebt al mooie volle lippen, lipinjecties zien eruit alsof iemand je geslagen heeft. Het is niet normaal als je bovenlip groter is dan je onderlip. Gewoon freaky. Bij een vriendin van me is het eruit en die heeft nu echt een slappe hanglip. Mega lelijk. Wauw heel inspirerend praatje. Zit de laatste tijd zoveel te denken over alles van school tot mn relatie. En toch wel fijn om te horen dat zo een succes vol iemand als jou dat ook heeft. en dat van je tailbone heb ik ook! Ooooh zo pijnlijk. Did you ever get around to getting lip injections? I had mine done with my own fat tissue first. No chance of an allergic reaction but it went away so fast, and I still have a dent in my leg where they got the fat from. Then I had some artificial filler, I can’t say which, and that turned out much better. It doesn’t stay a few months though, it stays much longer. It’s been 3 years and most of the filler is still there. The most noticeable volume loss is in the beginning, when you’re still swollen and the filler still has to settle into place. It takes a few weeks for it to look natural. The first 2 weeks it’ll look over the top, but it’ll still shrink down a little. About a year and a half later I noticed a little bit of volume loss, but not much really. Aftercare is just not applying lipstick for a week, and rinsing your mouth a few times a day with the mouth wash they give you.